A Peer Mentor is an upper class student who serves as a resource and role model for first-year students. A Peer Mentor meets a required GPA of 2.8 and is involved in several organizations around campus. Peer Mentors serve as a liaison between the faculty member and the students and maintains and upholds the following roles and responsibilities. 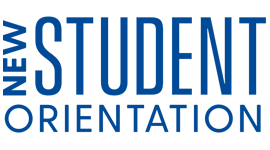 Be a student liaison for the new first-year students. Build a sense of academic community among a small group of first-year students. Assist in planning the course syllabus as well as extracurricular activities. Assist in the delivery of transitional issues from high school to college. Assist in lectures, presentations, and other assignments in and out of class. Assist in discussion of all syllabus topics, as well as take ownership of specific transitional syllabus topics. Give opinions and responses to class discussions and topics. Assist in making connections with RSOs and other campus resources and support services. Be a resource for first-year students who have questions or concerns. Attend UNIV 301 in spring semester and a training workshop in late summer. Attend your assigned class section twice a week, during the first 8 weeks of the semester. Meet weekly with your faculty instructor to discuss the upcoming class, any projects, or out of class meetings. Hold out of class meetings, workshops, reading groups, or other activities. Volunteer for various events throughout the semester with the FYS Office. Peer Mentors receive one-credit for attending and passing training class.